Our employees are the cornerstone of our success, which is why you will find all the resources and benefits you need – from performance-based bonuses to health insurance coverage. We’re looking for talented, ambitious, bright minds who are experts in their respective fields. Join us and start making a difference! 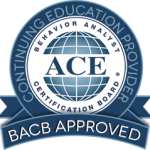 At IEBI, a Behavioral Therapist will be trained to work with the client on a 1:1 basis. Therapists will work in home with children and adolescents with autism and other developmental disabilities. After training, Behavioral Therapists will be able to implement protocols, take reliable data, and work closely with members of the child’s team. A Clinical Supervisor will receive training to conduct behavioral assessments, provide in-home parent training, supervise early intensive behavioral intervention for children with special needs and implement VB protocols. A Clinical Supervisor will provide supervision and support to their clients and therapists, maintain high-quality supervision across all cases, write reports and evaluations, etc. A Clinical Supervisor will also serve as a liaison between the company, families, community, schools etc. Does IEBI provide benefits to their employees? Yes! At IEBI we offer a 401k plan with matching contributions to all employees. We also offer medical, dental, vision and paid holidays for full-time employees. Once you work on average at least 30 hours a week for two months, you will be considered a full-time employee. How can I receive more hours? If you have a wide availability, it will allow us to give you more hours. Do you provide BCBA hours? Yes we do! And we don’t charge for them either! A passion to work with children with developmental disabilities and a Bachelor’s Degree! HR will review your resume and contact you shortly, please give it about a week before you contact HR.